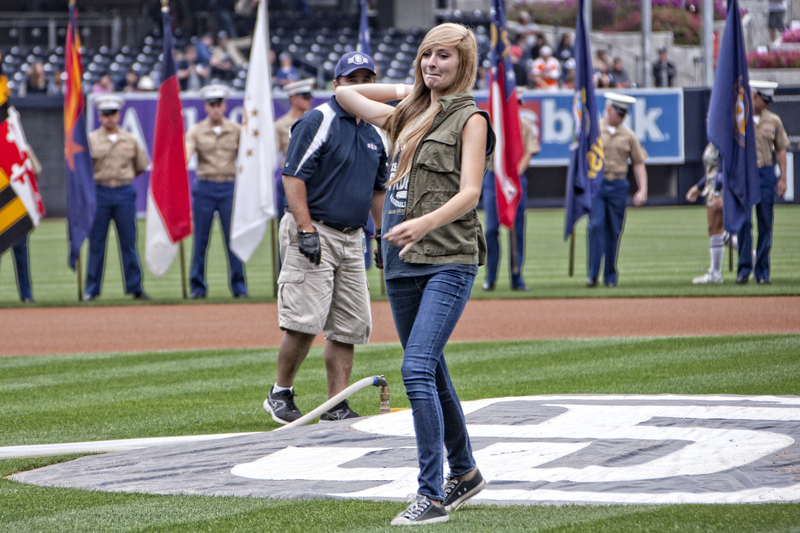 SAN DIEGO, May 14, 2012 -- Northrop Grumman (NYSE:NOC) helped kick off a series of San Diego Padres baseball military appreciation games during the Military Opening Day on April 22. The company's sponsorship is connected to a larger campaign by Northrop Grumman to raise awareness and support for U.S. military members and their families in the San Diego area. "We take pride in living and working alongside San Diego's military families and couldn't be happier sharing America's pastime with this community," said Jim Zortman, vice president for logistics and site manager for Northrop Grumman's Unmanned Systems Development Center. "As one of San Diego's largest suppliers to our military we have a clear understanding of the sacrifices made by these families. The opening day sponsorship is just one example of our appreciation." Part of the opening day sponsorship provided 1,500 tickets to local military installations. During the season, Northrop Grumman employees will have $5 of the ticket donated for certain Padres games to the USO, which offers a variety of programs and services to support the morale, welfare, social and entertainment needs of service members and their families – free of charge. "The funding contributed to the USO will primarily go to a camp for children who've lost a family member while they were serving in the military," said Zortman. "Last year, we were able to support a single camp, but we expect to be able to support two camps this year in San Diego." There are approximately 3,600 Northrop Grumman employees in San Diego County.